Brick officials thanked the township’s crossing guards and traffic safety police officers in two resolutions at Tuesday night’s township council meeting. 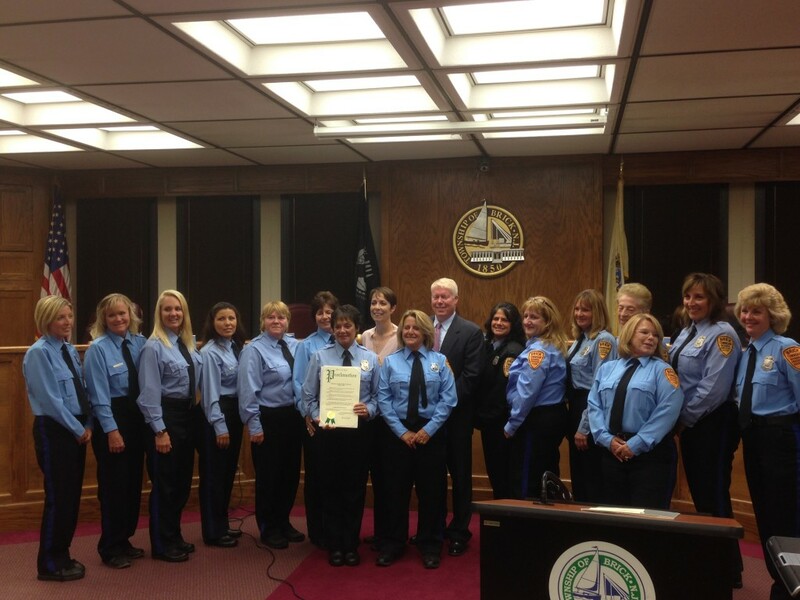 Mayor John Ducey declared Oct. 8 “Crossing Guard Appreciation Day” in the township, recognizing the crossing guards’ dedication not only to getting the township’s children safely to school, but helping families make it safely across busy Route 35 to the beach in the summer. “They’re out there in all kinds of weather, too,” Ducey said. 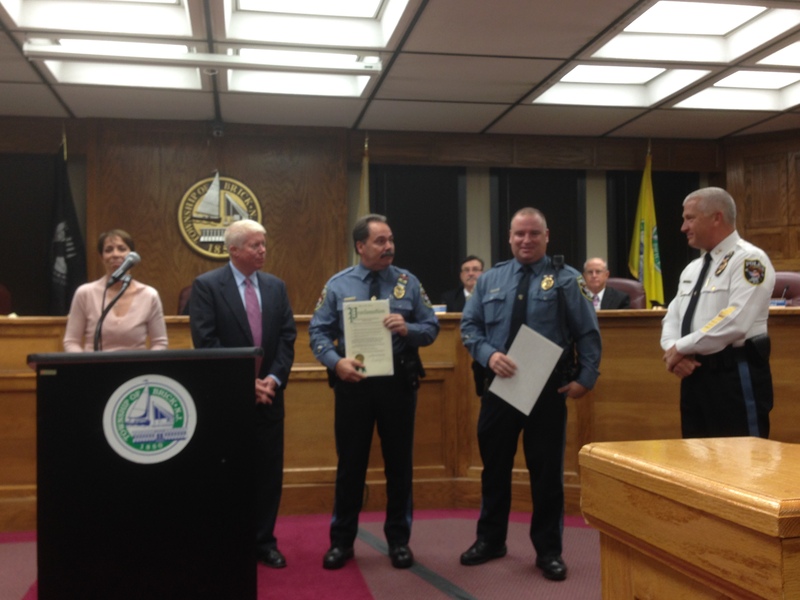 The mayor and council also recognized two of the township’s police officers – Sgt. David Bedrosian and Officer Scott Dierking – the department’s two traffic safety officers. Citing the 542 people who lost their lives in traffic accidents in 2013 across New Jersey, Ducey thanked Bedrosian, Dierking and the police force for their service to the cause of helping the prevent traffic accidents in Brick and enforcing pedestrian safety regulations and drunk driving laws. Ducey delcared Oct. 10 “Put the Brakes on Fatalities Day” in Brick.